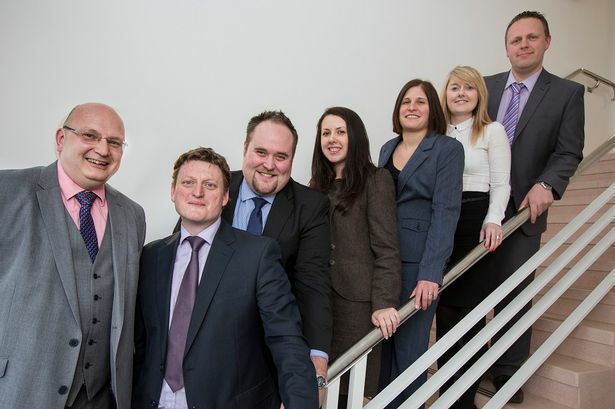 The West Midlands office of accountancy firm Crowe Clark Whitehill has announced a series of promotions. Clare Russon, who became an assistant manager at the turn of the year, has now been promoted to manager while Hayley Quinn, Jill Turner Smith, Mark Green and Kelvin Simmonds have all become assistant managers. These latest career moves follow on from the recent announcement that Ross Prince has been made a partner at the Oldbury office. Midlands managing partner Johnathan Dudley said the promotions rewarded hard-working and long-serving staff, some of whom had started as raw recruits. "I congratulate Clare at this much deserved success. She has been with us over 11 years and we greatly value her loyalty," he said. "Ross joined the firm as a trainee chartered accountant in 2002, Jill has been with us nearly 12 years, Mark for 11 and Hayley for eight. It is terrific commitment. "You can&apos;t beat experience and this is what they give the firm and our clients. Their deep knowledge of the Black Country and what makes it tick is a big advantage in a highly competitive marketplace." Mr Prince added: "It is great to be recognised by the firm in this way....I look forward to continuing to contribute to the growth of our Midlands office, and I will always be keen to encourage and develop our other young staff, many of whom show a similar aptitude and desire."